To end the year, I co-hosted a Goodbye 2015 event with njcbailey on New Year’s Eve. 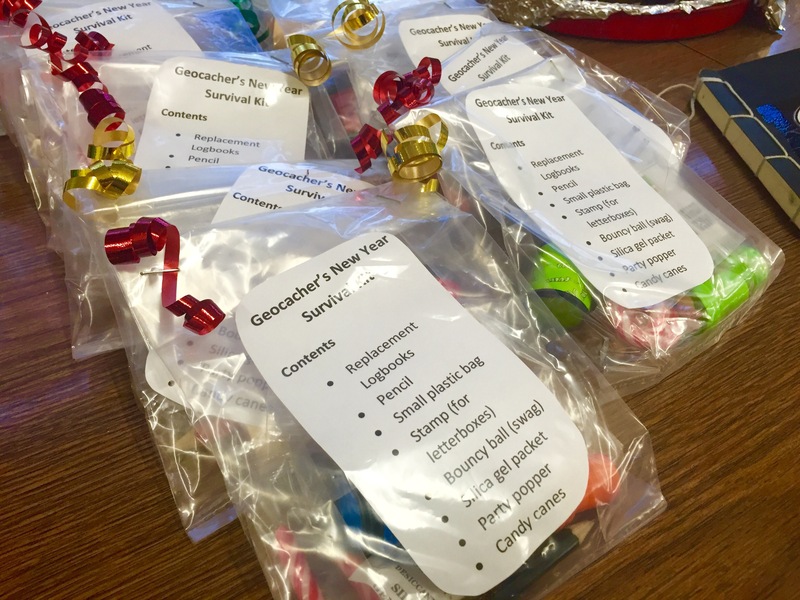 I made up some Geocacher’s New Year Survival Kits for attendees, which included replacement logs, a pencil and some swag. 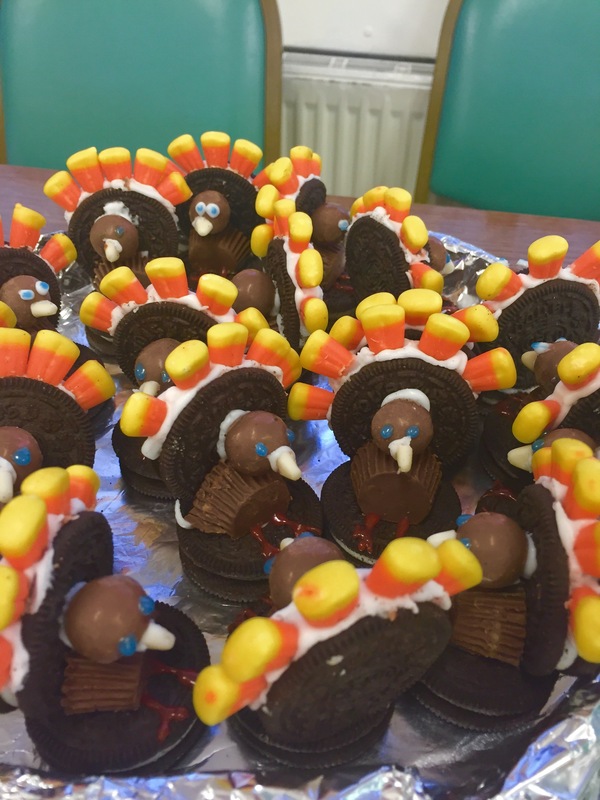 For goodies to eat, I had help from my nieces Tara2411 and Princess Ciara to make up these cute (and delicious) Oreo turkeys! We have a turkey dinner on New Year’s Eve in our house too, so it’s not just for Christmas. They went down a storm too: I didn’t even get to try the fruits of our labour. You can find the tutorial to make your own here. 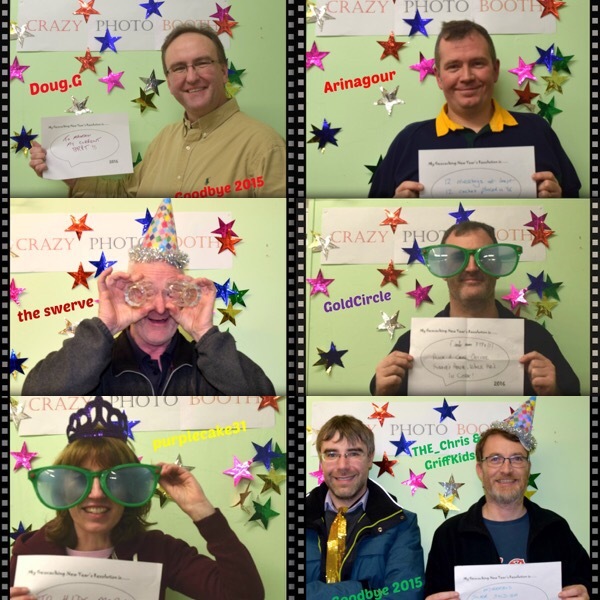 I also set up a photo booth, where people could pose for a silly photo as well as make new year geocaching resolutions and have them photographed as evidence! 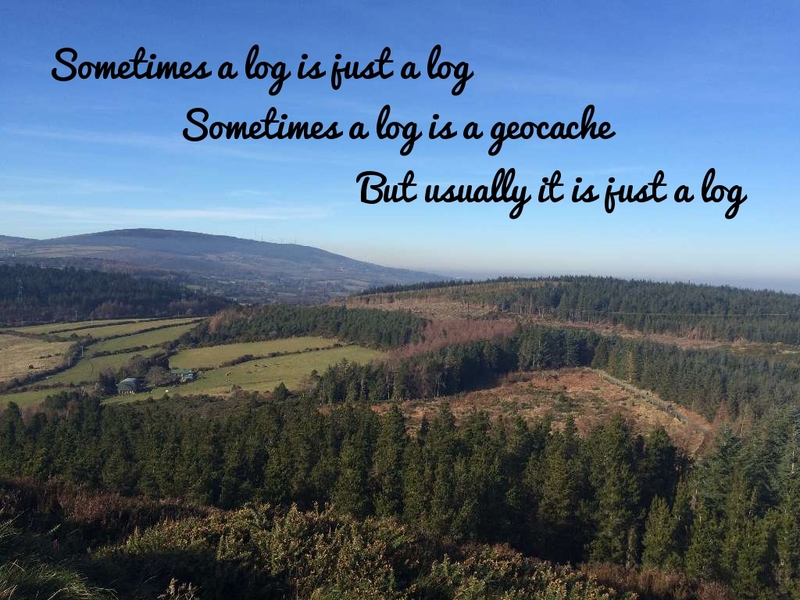 Someone asked me what my geocaching resolutions were for the year and I hadn’t actually thought about it. 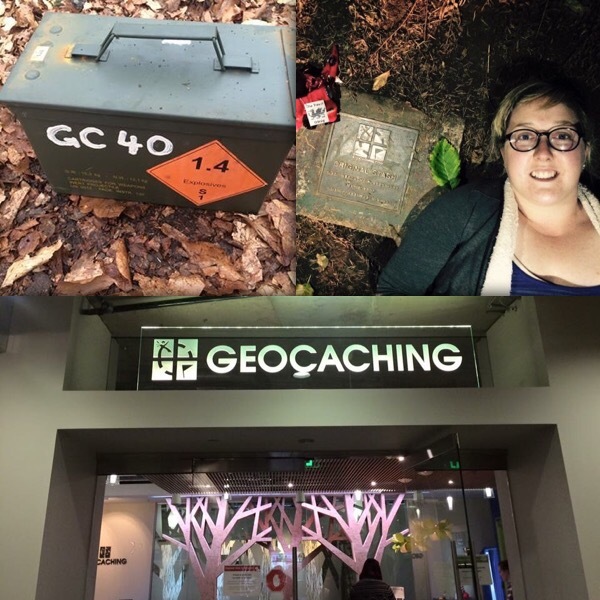 Now that I have had more time to think, here are my good intentions for the geocaching year ahead. This will be difficult for me. Project-GC has a lot to answer for. Ever since I discovered the multitude of statistics they provide, I am constantly challenging myself for no good reason other than sheer torture. The most torturous of all has to be continuing the ‘most consecutive months with an FTF’ stat. As of December 2015, I am sitting at 20 consecutive months. 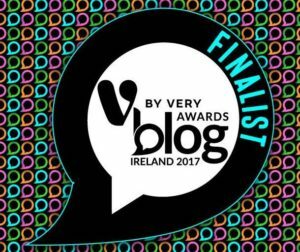 With what seems to be fewer caches being published (although winter tends to be quieter) and the number of FTF hounds around Dublin growing exponentially, keeping the streak going is only getting more difficult so I think it could be time to put this particular form of torment to bed, for the sake of my sanity. Why can’t that log just be the cache?! I really need to dust off the hiking boots (or maybe even buy some new ones!) and go on longer hikes. 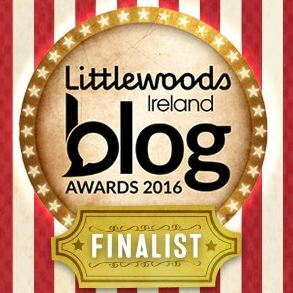 I still have a huge number of caches to find in the Wicklow Mountains. I am very lucky to have such a great amenity practically on my doorstep, but I really don’t take enough advantage of it. There is talk of tackling Snowdon when in North Wales for the Mega in August, so a little bit of hill-walking is definitely in order beforehand to psyche me up for the challenge! Being a cache owner is not all rainbows and favourite points. In reality, it’s more criticism and TFTCs than anything else. The only ‘payment’ we get as cache owners is the logs and the favourite points but the things is, we are not really due any form of payment. 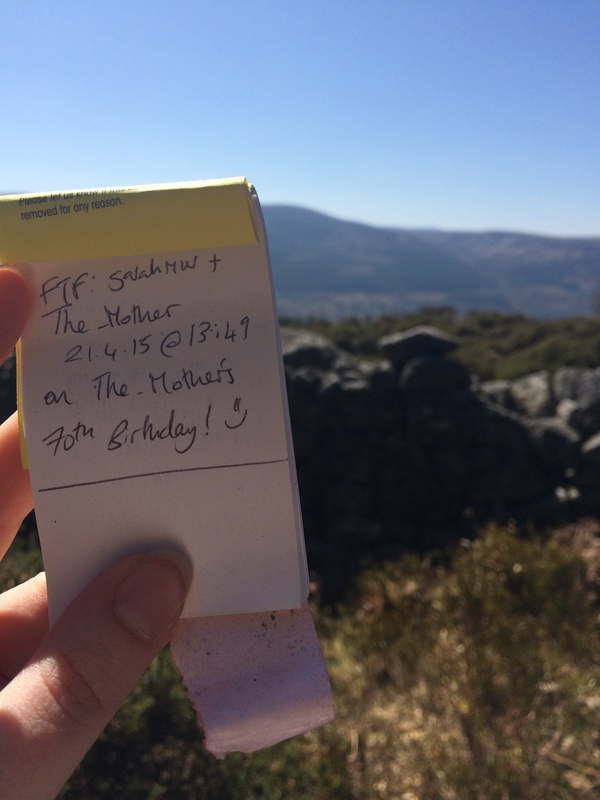 We place caches voluntarily so finders don’t owe us anything. Sure, it’s nice to be nice but it’s not a requirement and in my experience, people are a lot braver hidden behind a keyboard, safe in the knowledge that they will probably never meet you in real life and have to answer to what they’ve written. This year, I will endeavor to let the needlessly negative comments run off me like water off a duck’s back. 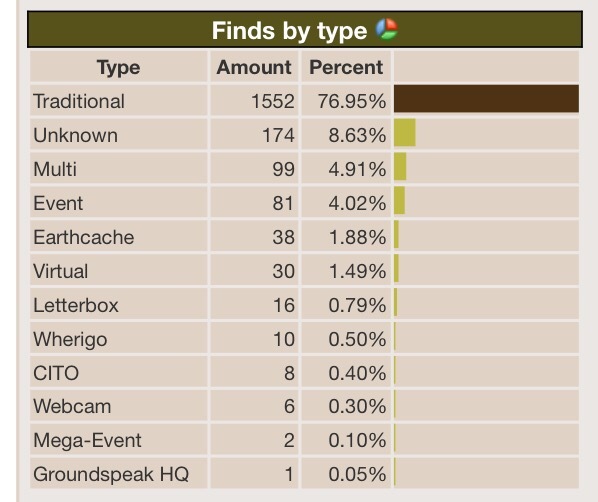 My finds are overwhelmingly biased towards traditional caches (almost 77%!) so I really need to spend more time looking for different cache types. I have only found 99 multi caches to date, so with an impending mini-milestone there, I really need to broaden my horizons and mix it up a bit. I really do like earthcaches too, so I need to get my numbers up on that front. 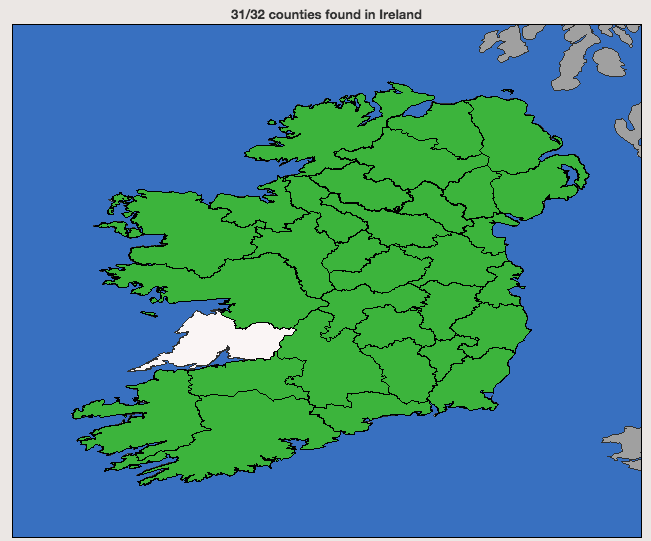 To date, I have cached in 31 of the 32 counties on the island. 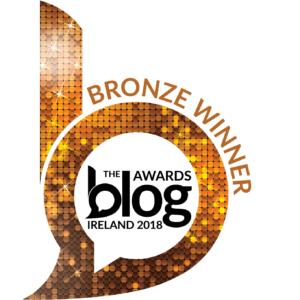 I only have to find a cache in County Clare to complete the set so a weekend trip to Father Ted Land is definitely on the cards for this year! 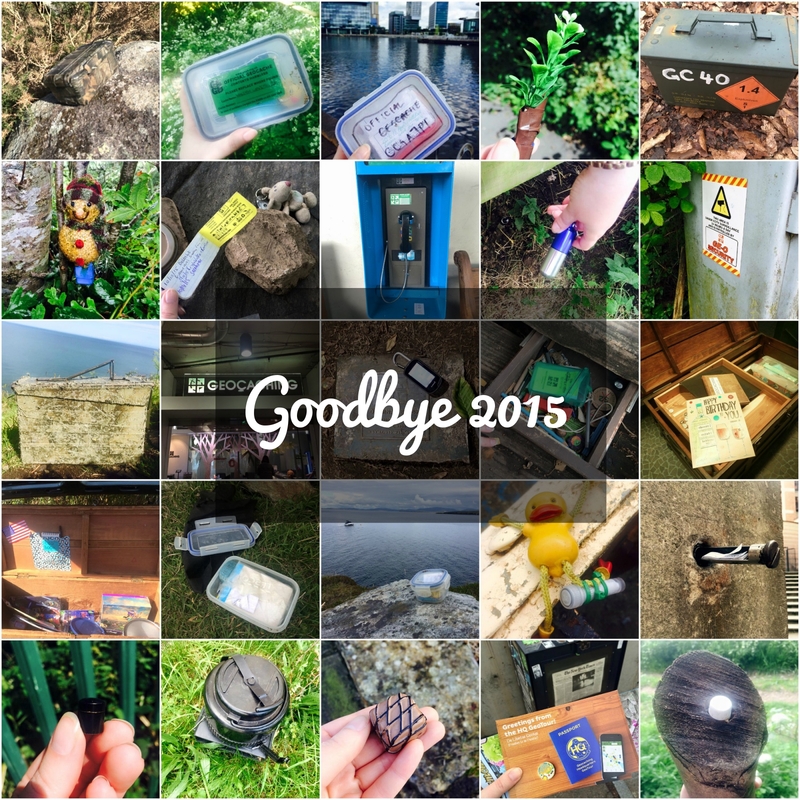 What are your geocaching New Year’s resolutions? Let me know in the comments! 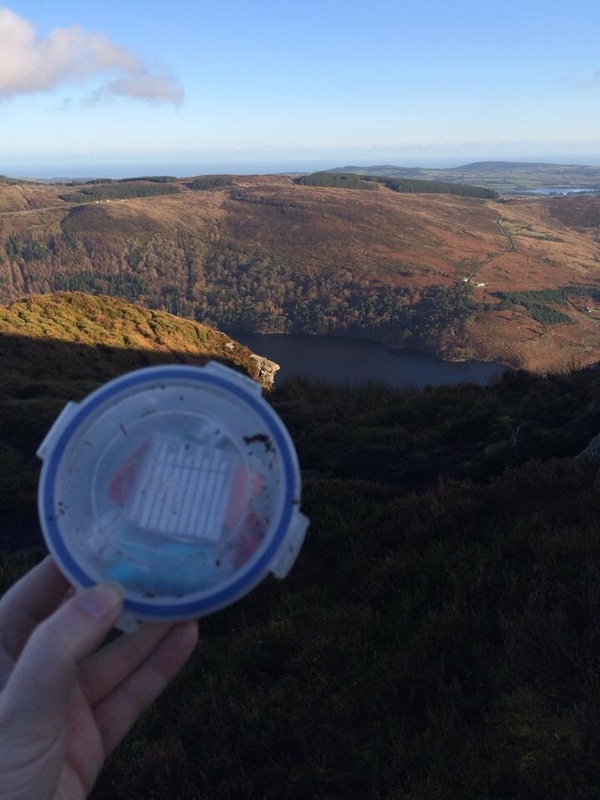 To finish my ‘Finds For Each Day Of The Year’ grid on 29/02/16, possibly like yourself complete the Ireland County Challenge, attend the Welsh Mega and keep on Geocaching!